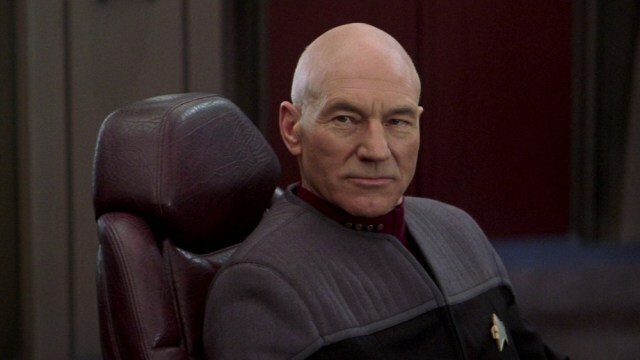 Later this year, Patrick Stewart will once again reprise his role as Jean-Luc Picard in a still-unnamed Star Trek series. However, Stewart’s triumphant return to the Star Trek universe almost didn’t happen. In a recent interview with Yahoo, Stewart discussed why he was apprehensive about the series at first and what eventually changed his mind. Stewart explained that he had been approached about reprising his role several times after 2002’s Star Trek: Nemesis. He always declined. But something about the producers’ idea for a new take on the character made him reconsider. Stewart understandably kept quiet about story details, but he did give some new info about Picard’s look this time around. Apparently, Picard won’t resemble his future self from the series finale of Star Trek: The Next Generation. Stewart also added that the new series may comment on current world events. You can share your thoughts on Stewart’s remarks in the comment section below!